When someone asks you if you want to go to IKEA, does your brain translate that question as, “Do I want meatballs?” You’re not alone, unsurprisingly, as many shoppers head to the Swedish retailer’s stores just for the food offered in its restaurants. 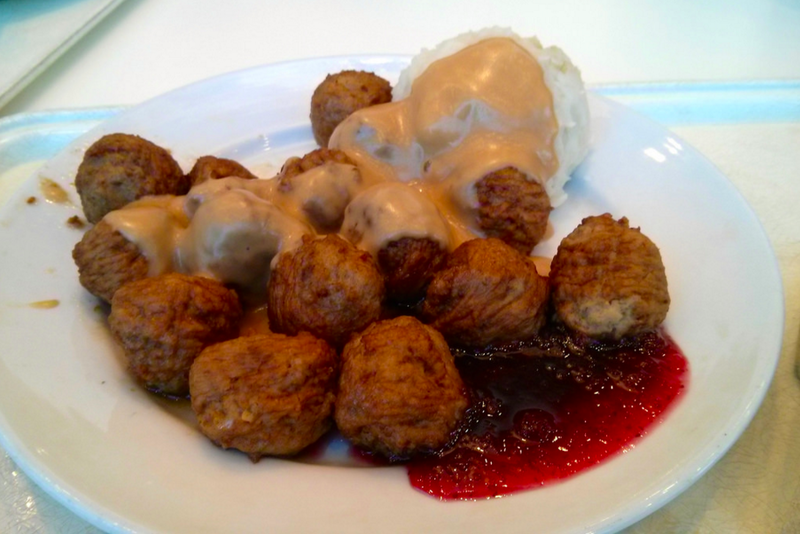 IKEA knows this, which is why its giving those dine-in eateries a makeover in the U.S. Whether they’re just making it a part of their trip or heading to IKEA solely for that lingonberry jam, plenty of folks are eating at the store’s restaurants and buying its food, reports the Washington Post: the food division (including take-home products) is seeing an 8% spike in sales, and foot traffic to the restaurants is “trending better” than it is in areas of the store with furnishings, Peter Ho, a product developer in IKEA’s food division told WaPo. To keep people coming back, IKEA is giving all 41 U.S. stores a restaurant makeover over the coming months, switching it up from a wide open space concept to a three-zoned plan. One area will have high tables and bar stools, a second will cater to families, and a third zone will act as the coffeehouse-type area, with couches and chairs to lounge on. That furniture will be made by IKEA, of course, so your backside can test drive what it has to offer elsewhere in the building. There will also be changes to the menu as IKEA jumps on the trend bandwagon: it’s already got a veggie version of IKEA’s beloved meatball will be on the board, and is adding a chicken version that’s produced in a more sustainable way than their traditional meatball. “The public today definitely wants to know where their food is coming from,” Ho said. Previous Why Are So Many People Reporting Kenmore Oven Door Explosions?